Christopher Scaffidi earned a Ph.D. in software engineering from Carnegie Mellon University, an M.S.E. in software engineering from Carnegie Mellon University, a M.S. in physics from Princeton University, and a B.S. in mathematics and physics from the University of Wisconsin in Madison. He began his career as a researcher in physics at Princeton University, then moved into professional software engineering during the dot-com boom. After seven years of web application development and consulting experience, he began his academic career as a software engineering researcher. He is currently an associate professor of computer science in the School of EECS at Oregon State University. His research interests are where human-computer interaction and software engineering intersect. Most of his current projects aim to help software users to create code for themselves, and to effectively share that code with one another. He recently served as director of the EUSES Consortium, an international association of seven universities and one company. 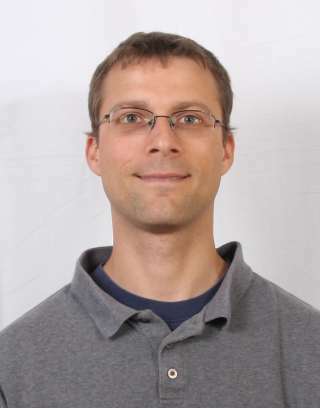 He was co-chair for the Poster/Work-in-progress track at the 2009 International Symposium on End-User Development and is on the program committee for the 2010 ACM SIGCHI Symposium on Engineering Interactive Computing Systems. He has been a member of the program committee for the IEEE Symposium on Visual Languages and Human-Centric Computing since 2010. He is a member of the ACM and IEEE.